Uijui, Timo Juuti, Sami Saari, Jangler. 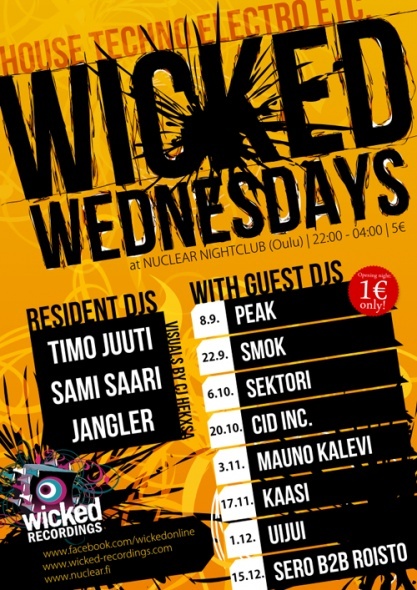 Wicked Recordings is proud to announce a new bi-weekly club night called Wicked Wednesdays! Wicked Wednesdays will focus on electronic music, mainly house and techno with all their various subgenres. Welcome!